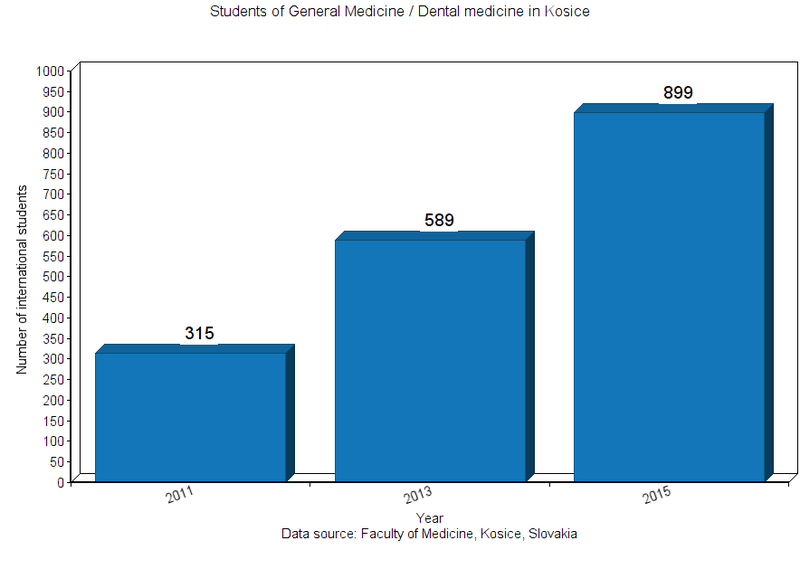 Number is international students at Faculty of Medicine of Kosice is growing quickly in recent years. There are around 200 students of General medicine and 20 students of English programme accepted each year. Let us present you numbers. Back in 2011, there were 315 international students in total. In year 2013 there were 589 international students and at the beginning of year 2015 almost 900 international students were studying programmes General medicine or Dental medicine at Faculty of Medicine in Kosice. Countries with the highest numbers of incoming students are: Greece (22%), Israel (20%), Saudi Arabia (13.4%), Poland (13%), Portugal (8.6%) and Italy (7.6%). More than 40 countries have their students in Kosice: Palestine, Pakistan, Jordan, Afganistan, Iraq, Iran, India, Sudan, China, Canada, USA or Brazil. (source 2013). Nowadays, there are 777 international students of General Medicine and 122 international students of Dental medicine in Kosice. (source 2015) This number is expected to grow in upcoming years, because there is nothing like numerus clausus (that means restricted number of places for students) as in Germany.